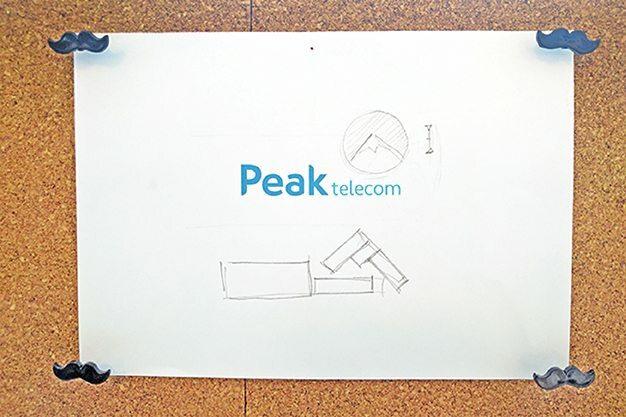 When Peak Telecom approached us to completely overhaul their branding and then to build a new website around it, we jumped at the chance. There's nothing we like more than being involved in a creative process from the very beginning, particularly when the client is as brave and ambitious about their new persona as we are. 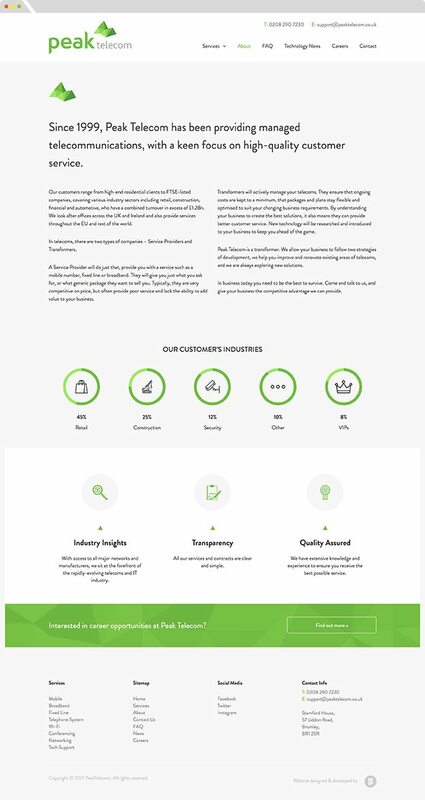 The task here was to create a website that would sit comfortably next to the websites of their (much larger) competitors, but which stressed their values of friendliness, expertise and customer service. We feel that the combination of icons, bright colours and clear use of text achieves that. And most importantly, so do the client.